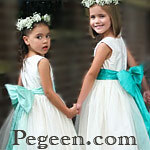 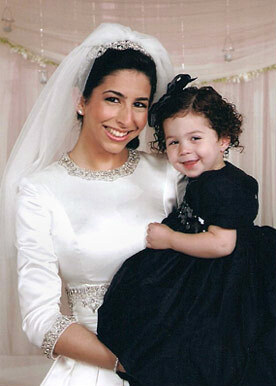 Dresses by Pegeen have appeared in thousands of weddings around the country as well as many magazines and publications. 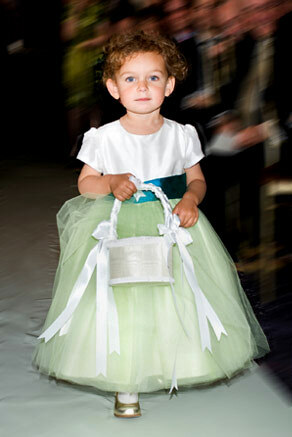 The styles, colors and options open the gates of possibility to have your little ladies adorned in so many pretty ways. 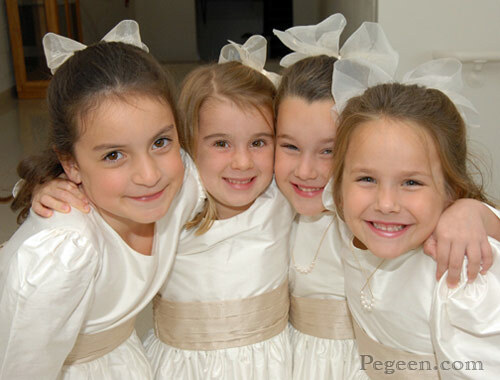 From start to finish, the professionals at Pegeen will guide you through the process with warm cordiality and understanding. 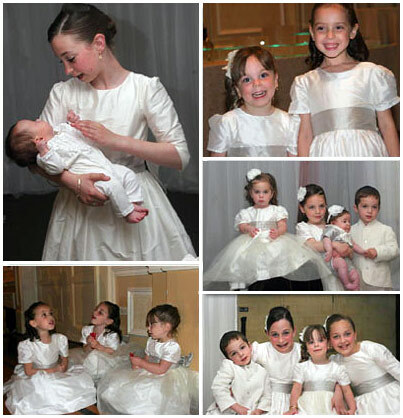 Follow the instructions on their website to understand how to measure your child, then mix and match styles and colors to come up with just the perfect dress. 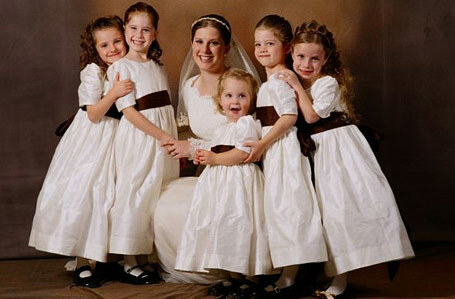 Add optional embellishments like bows and flowers, tulle and ribbon to complete the ensemble&ellipsis; And Voile!